Home › Miscellaneous › More Laughs…. 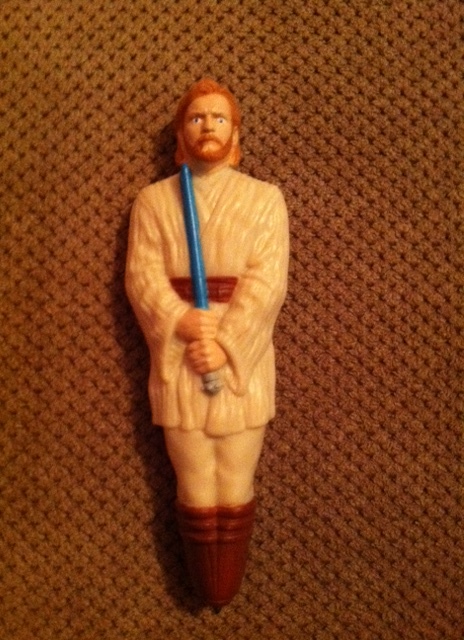 I had a bowl of cereal earlier and in my box of Golden Grahams was a Star Wars Pen. ‹ If I’ve offended anyone………. It was priceless. I need to keep a journal of mom quotes and publish it. It would a best-seller! Looks like something you might put on the dashboard of your car. 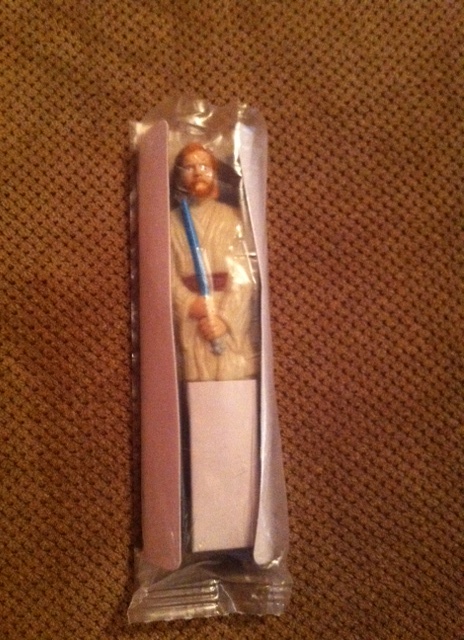 Tell your mom it’s the new and improved Jesus Christ speaking softly and carry a light saber powered by the Holy Spirit. Oh, this minister is going to hell for that thought. That’s what I get for coming in here instead of going to bed after taking my baclofen, zanaflex, and valium. lol, I am gonna tell her that! She’s RIGHT … It DOES look like Jesus. Maybe you should suggest that to General Mills, or whomever. Great evangelizing approach. Hmmm, good idea, You can buy holy cereal if you want to. The new pope might be willing to bless it, especially if the cereal is in the shape of crosses. Or would that be sacrilegious? Maybe little bibles?